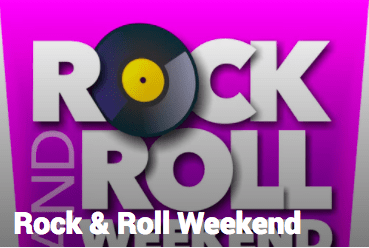 Head over to St Ives Holiday Village for a weekend of Rock & Roll for the first time. Hosted all weekend by DJ Red Hot 'n' Rockin! Friday 27th April - Vintage (a young three piece Rock and Roll band that never cease to amaze their audiences) and Greggi G & The Crazy Gang (a brilliant 4-piece party band playing classic rock and roll, jump jive, 50s, vintage swing and boogie-woogie in the style of Bill Hailey & Fats Domino). Saturday 28th April - The Stingrays (an old school band, playing jive-busting classic old style British Rock and Roll, music from Johnny Kidd, Cliff and the Shadows, plus Rock n Roll standards from Roy Orbison, Chuck Berry, Buddy Holly and many others), The Roosters (a 3 piece Rock n Roll trio), as well as Glen Darren & The Krewcats. Sunday 29th April - The Carl Morris Trio, Rockin' The Joint and Dave B's Good Rockin Tonite.